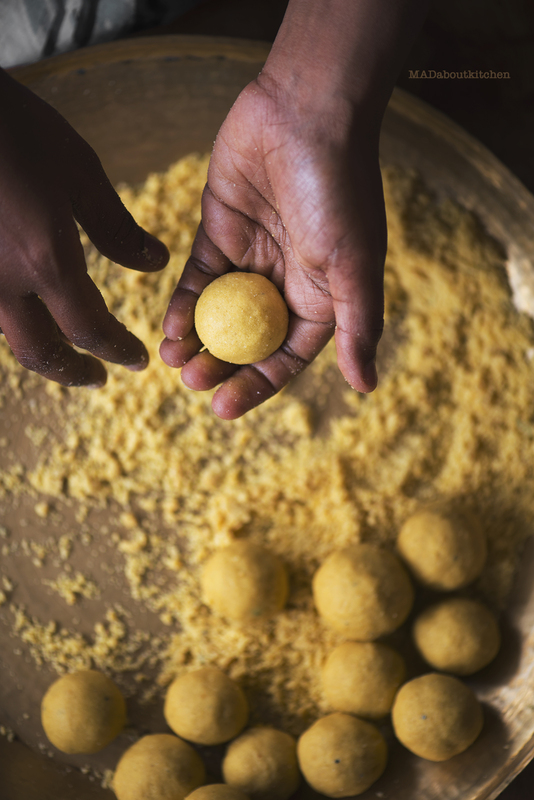 Homemade Besan Ladoo or Gram flour balls are one of the most common and most easiest ladoos made in India. 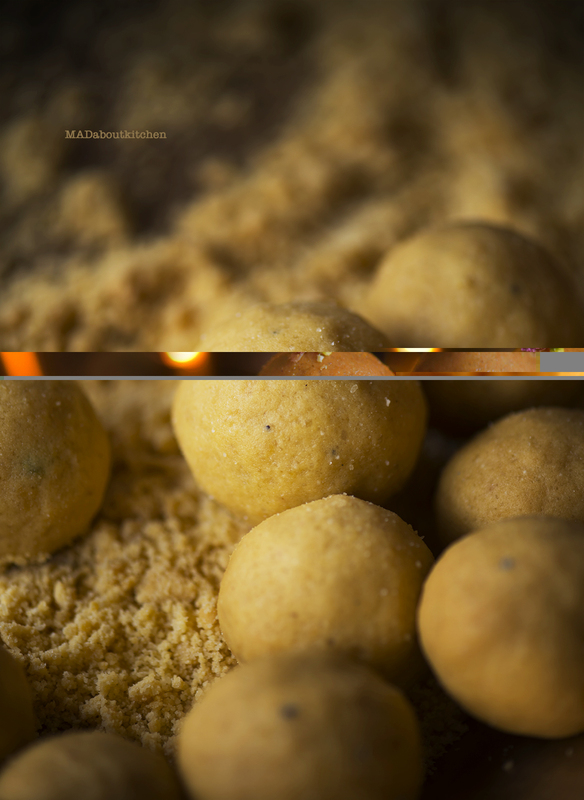 It is not only quick and simple to make but homemade Besan Ladoos are very healthy as well. I make these for my son as a snack in the evening. 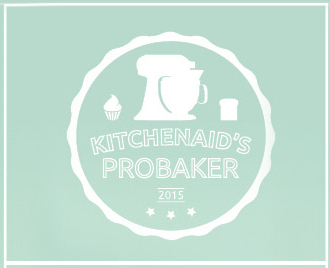 As I am a culinary consultant for KitchenAid, I am featuring their products here. 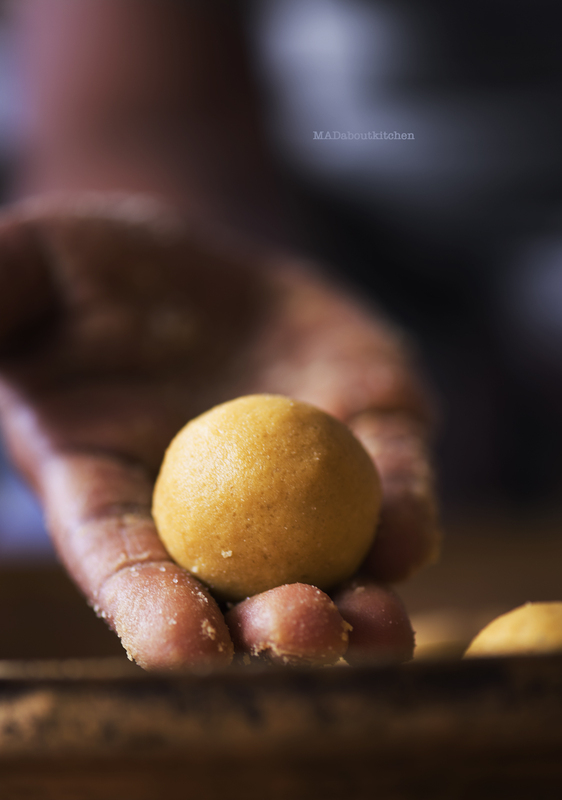 Be it everyday or any festival, Homemade Besan Ladoos are everyones favourite at home. 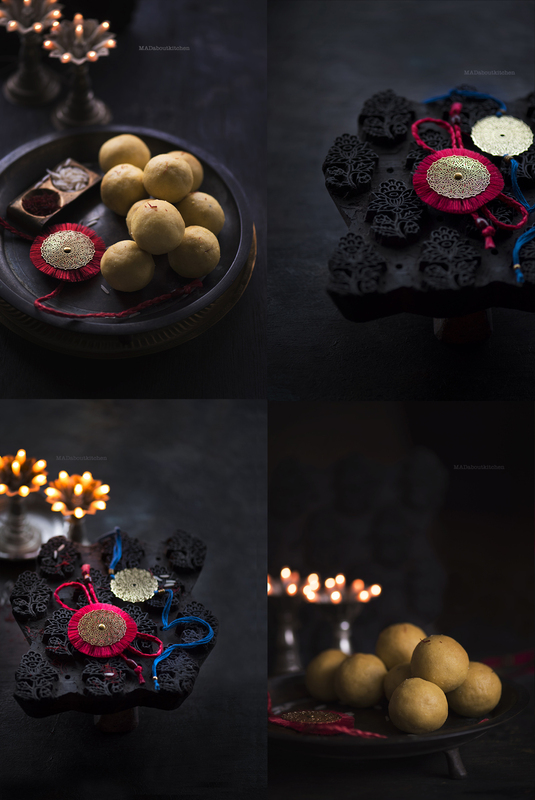 Made it last year for Diwali and this year for coming Rakhi festival. 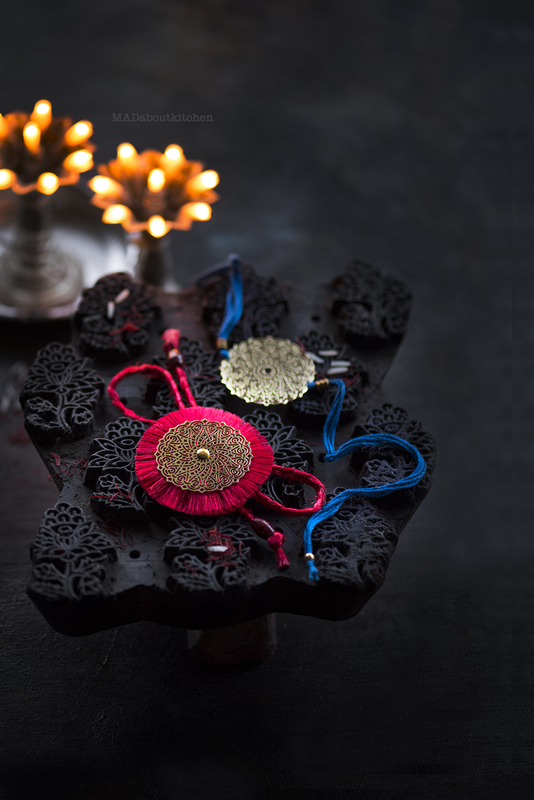 I also got some amazing rakhis by AnandPrakash. Aren’t they just beautiful??? Heat the skillet on a low flame. Add ghee to it and let it start bubbling and melt completely. Add besan and semolina and mix it well. Roast it till the raw smell of the besan is completely gone and the colour turns dark. This will take 6 to 8 mins or till the besan starts turning dark in colour. Just take a pinch and taste it and it shouldn’t taste raw. The consistency will be a little soft. Add water bit by bit and mix till it evaporates. Adding water brings out bubbles and turn the mixture sandy. 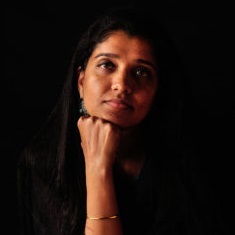 This step will make the ladoo more light and airy. Let it cool down to a temperature that you can handle. Add cardamom powder, crushed saffron, pista and rose petals. Add powdered sugar bit by bit while mixing it well. Sugar should mix well and completely. Rub between your palms to mix sugar well. Take this mixture in your hand and start making the ladoo by pressing it hard. If the mixture is dry and breaking then add a little bit more of melted ghee. Garnish it with pistachios and rose petals. Let it airdry for a couple of hours and then store it in an airtight box. 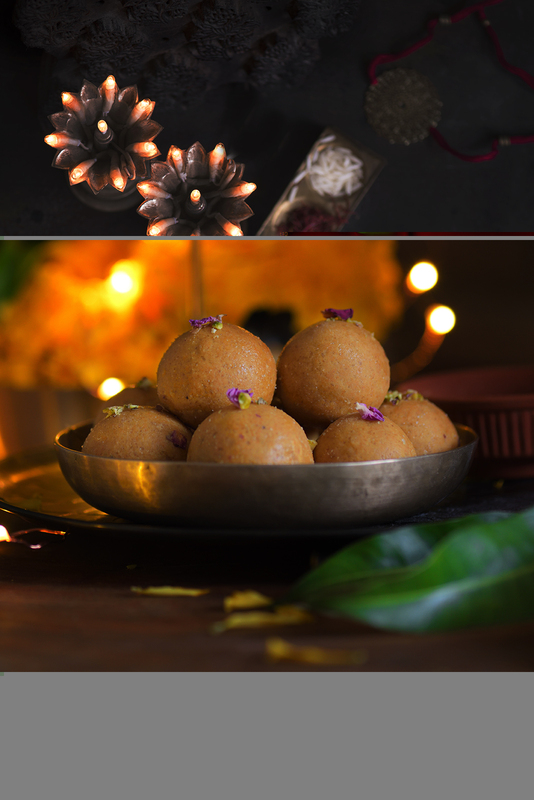 Homemade Besan Ladoo or Gram flour balls are one of the most common and most easiest ladoos made in India. Roast it till the raw smell of the besan is completely gone and the colour turns dark. This will take 6 to 8 mins or till the besan starts turning dark in colour. Just take a pinch and taste it and it shouldn't taste raw.